I wouldn’t be where I am today without this annual fundraiser to help pay for my ongoing care and rehab. There are many in my situation who are not as fortunate and I am so thankful that I can get up and moving everyday. Every year I get a little stronger and every year gets a little easier. This year I have 25 runners training hard and getting ready to hit Highway 1 on Sunday, April 28th. I am forever grateful for their support and yours. 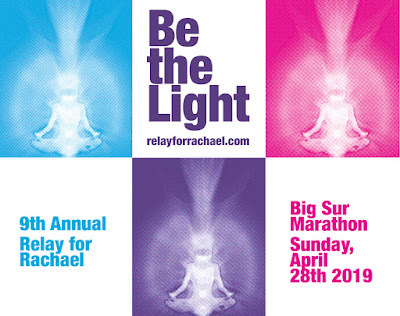 Please go to Relay for Rachael for more information on how to donate.